It’s the Fortnite Season 8 Week 5 and as usual, Epic has released a new set of challenges in Fortnite. One of the challenges this week is to find the secret battle star location hidden somewhere in the map. Obviously, you’re here because you’re looking for the secret battle star. So without further ado, let’s get started to help you find it. 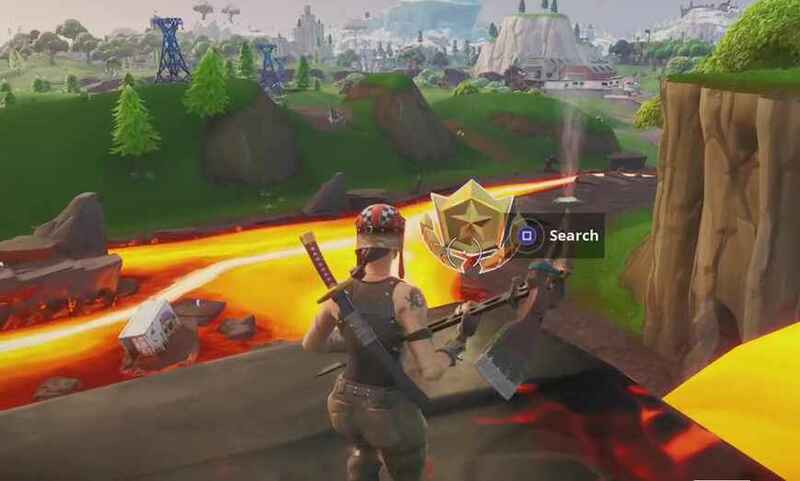 The secret battle star for this week is located in the flowing lava from the volcano. It has a coordinate of H4. Just drop to the mentioned coordinate and head at the left top edge of the lava falls. Once you get there, the secret battle star will automatically appear. Curious why the secret battle star did not appear when you visited the location? Maybe you haven’t reached the minimum requirements yet. So, all you need to do is finish and complete four full sets of any of the weekly challenges in Season 8. Once you have successfully found the Fortnite Season 8 Week 5 secret battle star, you will be able to collect and get the Find the Secret Battle Star in Loading Screen #5 challenge.